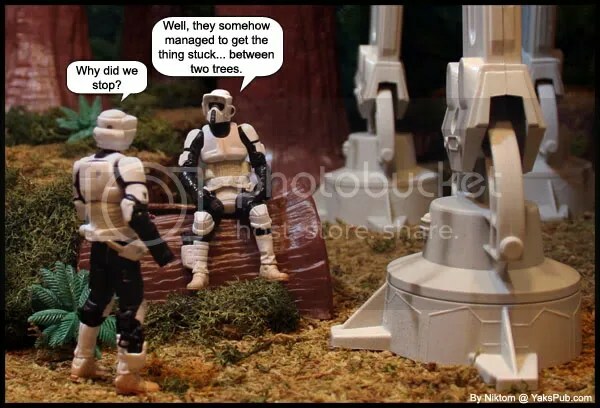 man… I hate it when I get my AT-AT stuck in a tree. Nice one,and again…today’s my b-day….But who cares,this is one of the pest pics i’ve seen in awhile! haha. i love anything with an at-at.